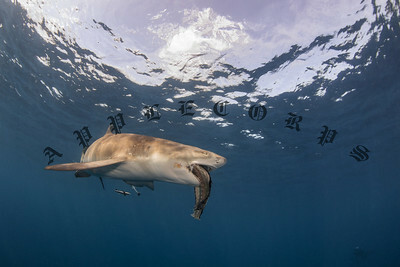 The other day, someone innocently asked me "Is your shark diving in a natural habitat or not in a natural habitat? Well, I could only reply with a puzzled sounding answer "Is there an unnatural habitat?" Of course, their follow up question was "So, where are the sharks' natural habitats?" Well, as we all know, there are no signs, markers, or other indicators in our offshore waters that designate the location of any shark natural habitats. Nearly everywhere they go is, in fact, their natural habitat. That's a phrase used commonly by those who like to distinguish themselves from others who they believe are attracting sharks as opposed to those who believe that they are doing nothing to attract sharks. The reality is that every time humans enter the water, they are attracting sharks. Are humans an unnatural or a natural part of the marine habitat? Are there unnatural humans? Sharks are very curious and inquisitive marine animals . . . almost every sound, every unusual sighting, water vibration, smell and/or other "event" will likely catch their attention after which they will, in all likelihood, make some level of investigation if for no other reason than to see if there is something worth eating. It's their natural behavior and has been for millions of years. That includes boats, boat motors, fishing tackle, live or dead bait, and, yes, humans. Add electrical pulsations from the batteries in dive computers, photographic equipment or other underwater equipment devices and there is a whole lot to attract sharks. In other words, for hundreds if not thousands of years, humans have been a clear "natural" element within the otherwise natural environment of sharks and every other marine animal. I think the real issue at hand is the difference between what we call "baited" shark dives as opposed to all other so-called shark dives. Both attract sharks - especially when the latter is conducted at locations known to be where the baited shark dives are conducted. 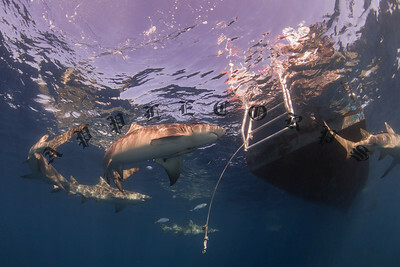 Many so-called unbaited shark dive charters actually target sights known to be where "baited" shark diving takes place. 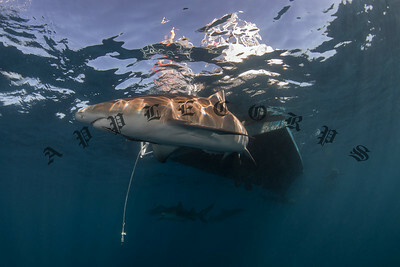 Some so-called unbaited shark diving charters actually follow the baited shark diving charters so that their divers can dive with the sharks already attracted by the baited shark diving charters. And, it's all just fine with me. There is a legitimate case to be made concerning attracting sharks to areas populated by swimmers, surfers, etc. Safety always remains paramount and humans splashing around at the surface typically have a higher chance of being mistaken for a possible food source by sharks. Their investigative behaviors can cause serious bodily harm. However, there is no case to be made by those claiming that shark behavior is altered wherein they begin to consider humans "as food". It just is not so. But, that's a topic for another day. The primary point being made here is that sharks do not exist in an unnatural habitat and there simply is no natural habitat that can be differentiated from all other habitats. Moreover, the so-called non-baited shark diving is taking place with the very same sharks as the baited shark diving with the only difference being the level of "attraction" generated by the presence of divers not carrying any "bait" with them. 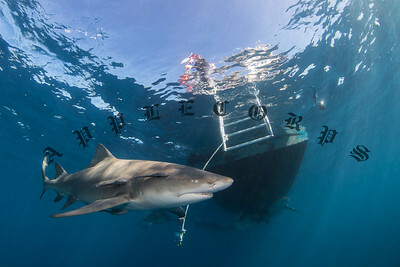 I've done both baited and non-baited shark dives many times and both are enjoyable. Both can be conducted very safely. Personally, I find it more enjoyable to see sharks at a reasonably close proximity permitting better quality photos and videos. But, both are conducted in the natural habitat that we call the ocean. Anyhow, that's how I see it . . .
July 19, 2017 :: White Balance :: Art or Science or Both? May 9, 2017 :: Post Editing? No Apology Here! May 1, 2017 :: Hi! I'm Richard & I'm A Shark Diving Addict! Heading To Fish-less Florida Waters?